Open Streets Detroit, powered by Downtown Detroit Partnership and presented by DTE Energy Foundation, is part of a global movement to reclaim public space for people by temporarily transforming streets into paved parks and public spaces. 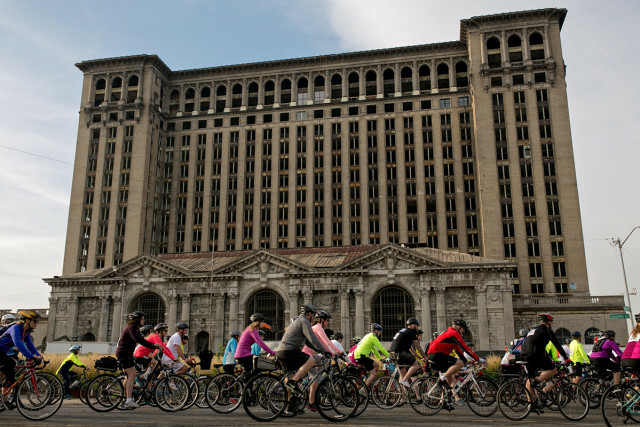 Free and open to participants of all ages, Open Streets Detroit is proposed to temporarily close almost four miles of Michigan Avenue and West Vernor Highway to create space for healthy activities, community building, and connection to local retail. Open Streets Detroit is a unique opportunity to bring the city and the region together through a celebration of public space that fosters community connections. The positive economic impact of Open Streets programs in other communities has been well documented, with local businesses reporting increased patronage on the day of the event and returning customers afterwards. 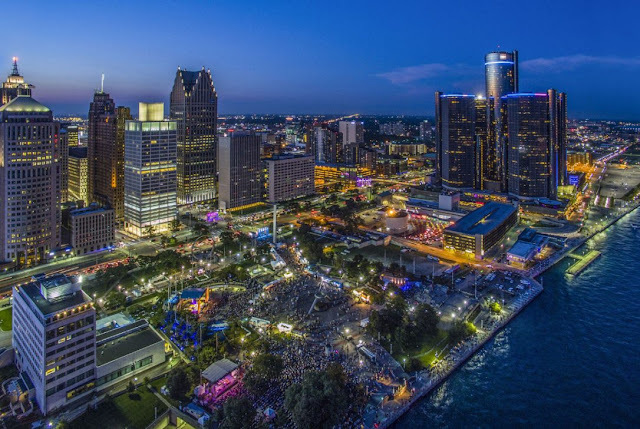 Open Streets Detroit seeks to produce similar benefits by showcasing the city’s business districts, neighborhoods, parks and cultural institutions. The inaugural Open Streets Detroit route will cover 3.7 miles along Michigan Avenue and West Vernor Highway. The proposed route begins at Campus Martius Park in Downtown Detroit, connects through Roosevelt Park in Corktown, and continues through Southwest Detroit, past Clark Park, ending at Boyer Playfield located at Livernois and Vernor. Dan Gilbert, founder and chairman of Quicken Loans, the third-largest U.S. mortgage lender, is teaming up with upscale watchmaker Shinola to build the 130-plus-room hotel with about 17,000 square feet of retail space. Mr. Gilbert’s Bedrock Detroit, the development arm of his family of companies, is credited with helping to revitalize Detroit’s city center by moving thousands of his highpaid employees there and redeveloping mostly vacant skyscrapers into high-tech offices. Shinola was founded in 2011 in Detroit’s College of Creative Studies with a mission to bring manufacturing jobs back to America, albeit on a much smaller scale than the industrial barons of old. The company has retail locations from Palo Alto, Calif., to Toronto, with most watches selling for $475 to $1,500. It employs about 530 people, of which about 400 are in Detroit. 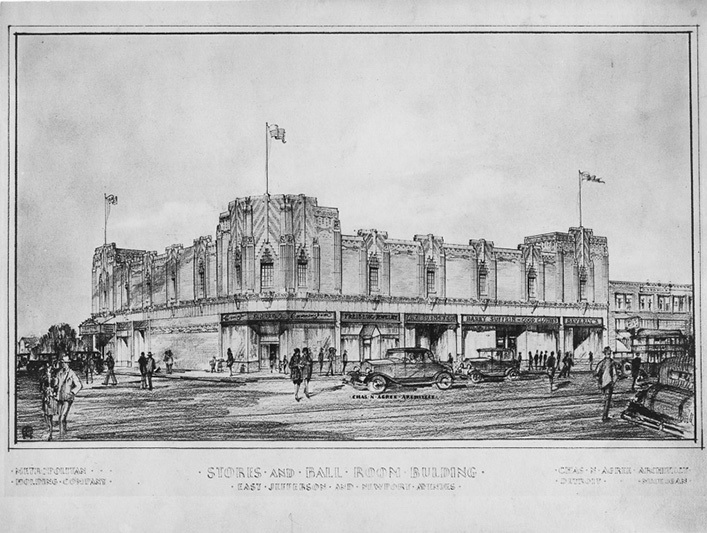 Executives at the two companies got together a few years ago and decided that they could further the redevelopment of the downtown Detroit area by teaming up to build a new hotel, which will combine Mr. Gilbert’s eagerness to redevelop vacant buildings with Shinola’s pared-down aesthetic. Their aim is to create a vibrant lobby that can act as a cultural hub for downtown, which is seeing an influx of luxury apartments and office workers. “We really need a boutique hotel where you can hang out on the ground floor and have these unique experiences on the site,” said Dan Mullen, an executive vice president at Bedrock Detroit, Mr. Gilbert’s development firm. Mr. Mullen declined to say how much rooms will cost per night, but said it would be a high-end hotel. The design will combine several vacant historic buildings, along with a new addition and an alleyway with everything from art galleries to noodle bars. The Noho Hospitality Group, owners of Joe’s Pub and Locanda Verde in New York, will run the restaurants on the site. The hotel is set to open in the fall of 2018. If you had the world’s attention for a few minutes, what would you share? That is the question each TEDxDetroit speaker will answer during the highly anticipated celebration of technology, entertainment and design, on Thursday, Oct. 6 at Detroit’s historic Fox Theatre. 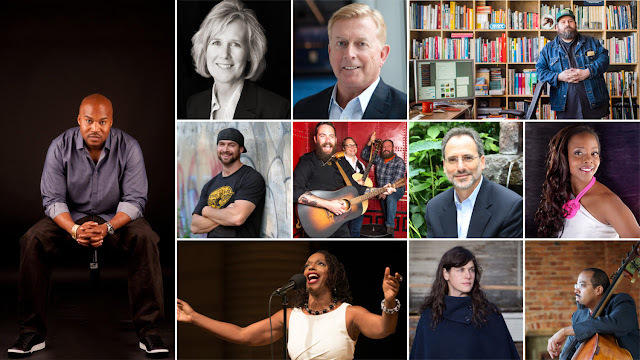 With hundreds of applications submitted, event organizers have narrowed down the list and selected local influencers, thought leaders and innovators to kick off this year’s conference, including: History Channel’s Mobsteel Cast Member Adam Genei; HistoSonics Inc. President and CEO of Christine Gibbons and more. Aaron James Draplin, founder of Draplin Design Co. Kicking off at 8 a.m., conference goers will also draw inspiration from a selection of performers and artists, including: a showing of Anthem of Us, a short film produced by filmmaker Stephen McGhee; as well as performances by bluegrass band Shine on Kentucky Moon, improvisational atmospheric space orchestraBotanical Fortress, local soprano and Kresge Art Fellow Kisma Jordan, Detroit Bellydance performer Lana Mini, master puppeteer Patrick Elkins and local poets James Kaymore and Zaira Ware. Legendary Detroit Street Artist Fel3000ft will also serve as the event’s artist in residence, creating a one of a kind canvas piece in the Fox Theatre Lobby throughout the day. The four cities will use the funding to create connections between existing public and civic spaces. Detroit’s projects aim to connect two anchor institutions in the Livernois-McNichols area, a neighborhood considered the number one revitalization priority by Mayor Mike Duggan and home to both University of Detroit Mercy and Marygrove Collage. The Civic Commons funding will target the area between the universities, creating a network of public and community-oriented commercial spaces within walking distance of one another. First QLine Streetcar To Arrive In Detroit This Week! Detroit’s first QLINE streetcar will be delivered this week, M-1 RAIL announced today. “Delivery of the first QLNE streetcar is an important milestone for this project,” said M-1 RAIL CEO Matt Cullen. “We’re bringing a sleek, modern vehicle of exceptional quality to Detroit. This project is one of the most innovative public transportation projects in the world today, from our landmark private-public partnership to the innovative off-wire battery technology that will power the QLINE, we couldn’t be more pleased to welcome the first QLINE vehicle. The first QLINE streetcar will arrive in Detroit Wednesday, nearly two months ahead of initial projections, keeping the QLINE on schedule for passenger operations to begin in Spring 2017. The vehicle will depart today from Brookville Equipment Corporation, the only maker of streetcars to design and manufacture exclusively in the United States. M-1 RAIL recently began the first of nearly 1,000 tests to be conducted before the start of passenger operations in 2017, operating a small motorized inspection car called a “speeder” to ensure the track is free of obstructions in advance of the first QLINE vehicle delivery. The three-piece QLINE streetcars are each 66 feet long and will carry an average of 125 passengers per car. The QLINE will share the road, traveling with traffic on Woodward Ave. at speeds up to 35 mph. The QLINE streetcars will feature wi-fi access for passengers, vertical bicycle racks and and HVAC unit to keep passengers comfortable during all weather seasons. The QLINE will allow for station-level access for pedestrians as well as persons who use mobility assistance devices such as wheelchairs. 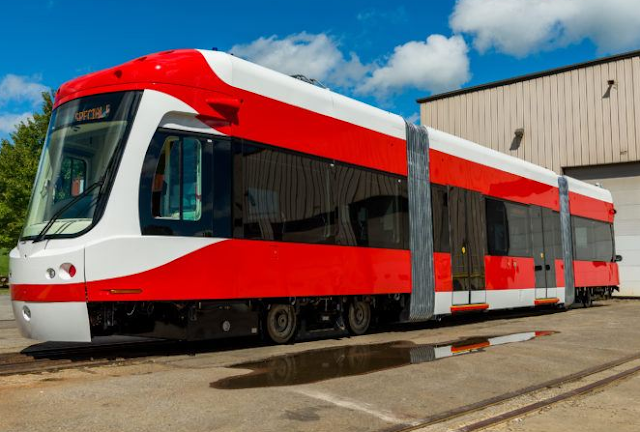 The New Qline Car Has Been Revealed! Check It Out! Yesterday, in Detroit’s Lower Eastside, the National Trust for Historic Preservation named Jefferson-Chalmers District a National Treasure. This designation by the nation’s leading preservation organization marks the first National Treasure in the state of Michigan and represents the first project under the National Trust’s new ReUrbanism initiative. The National Trust will work with city officials, residents, the business community and other stakeholders to bring increased capacity and pinpoint the best rehabilitation and reuse strategies to ensure Jefferson Chalmers’ older buildings evolve into assets that meet the 21st century needs of the community. Additionally, the National Treasures’ designation carries the full weight of the National Trust’s successful urban revitalization strategies, complemented by two of its programs playing roles in the city: 1) Preservation Green Lab’s Partnership for Building Reuse, a recent study focused on Detroit-specific barriers to building reuse that offers solutions to help realize the development potential of its older buildings; and 2) the National Main Street Center’s Refresh pilot program, a program to test new strategies and refine approaches for creating successful main streets. As the National Trust’s new partners in Jefferson-Chalmers are demonstrating, preservation is about more than just keeping historic buildings in active use—it is also about managing positive change through direct community engagement that positions the needs and concerns of people at the center of the work. Today’s event also codified the National Trust’s decades long involvement in the revitalization of cities across the country with the announcement of its ReUrbanism initiative, which positions preservation in the larger context of human needs as an essential element to creating the health and well-being of residents in communities, among other critical needs. Jefferson-Chalmers District joins a growing portfolio of irreplaceable, diverse places—from ancient sites to modern monuments—that have been designated National Treasures. Learn more at: savingplaces.org/jefferson-chalmers-district.